If you have time, you should avoid trying to cram this wonderful park into a single day; multi-day passes and the Orlando FlexTicket offer excellent value and the luxury of a more leisurely pace. Realistically, however, one day is all many visitors have. In this case, if you are staying at one of the resort hotels, the preferred access (and early admission to the Wizarding World) your room key affords will save you enough time that you won’t have to plan your visit to the park like a military campaign. The same can be said (although to a lesser extent) for the paid Universal Express Plus passes. However, the arrival of Harry Potter has completely rewritten all the rules for theme park attendance. On Opening Day, June 18, 2010, tens of thousands lined up beginning before 5:30 a.m., resulting in an eight-hour-long line that snaked around the entire park and out into CityWalk. At press time, enormous crowds are still streaming in, regularly resulting in two- to four-hour waits to enter the Wizarding World area, and hour-plus queues once inside to enter the rides and shops. 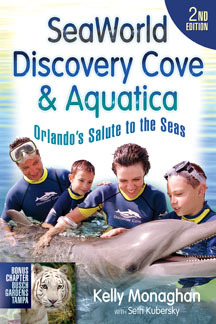 By the time you visit, the intense interest will likely have abated somewhat, but IOA will remain the hot ticket in town for the foreseeable future. 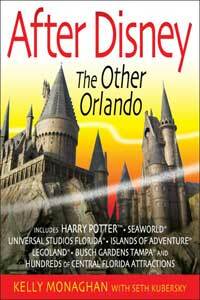 If you are a die-hard Potter partisan who has traveled to Orlando primarily to visit his world, you’ll want to join the diehards at dawn. Arrive at the park as early as humanly possible, at least 60 to 90 minutes before the official opening time. If there is a crowd, you will be routed clockwise to the land through Marvel, Toon Lagoon, and Jurassic Park (i.e. “the long way around”); otherwise, exit Port of Entry to the right through Seuss Landing, making a left at Green Eggs and Ham, and cross the bridge to Lost Continent. Once inside the Wizarding World, head straight for Ollivander’s Wand Shop, followed by Forbidden Journey, the roller coasters, and the remaining shops. Once you’ve sated your thirst for Butterbeer, explore the rest of the park counter-clockwise from Jurassic Park to Seuss Landing. If you are staying off-site, you can try arriving at the park as early as humanly possible (at least 60 minutes before the official opening time) and heading straight to the Wizarding World, but you may find the area already filled with hotel guests. A much better idea is to follow the steps below, leaving the Wizarding World for last. Note that this plan works best when the park is open past sunset (ideally 10:00 p.m. or later)..
1. Arrive at the park at least 30 minutes prior to the official opening time. As soon as the gates open, proceed straight to the end of Port of Entry and turn left. 2. Cross into Marvel Super Hero Island and enjoy the Spider-Man ride. 3. Hard-core thrill seekers should ride Hulk and Doctor Doom, preferably in that order. If lines are short, you may want to take the opportunity to ride Hulk twice. Using single rider lines can speed things up considerably. 4. Now head through Toon Lagoon to ride Dudley Do-Right's Ripsaw Falls followed by Popeye & Bluto's Bilge-Rat Barges, assuming you don't mind getting wet. It's enticing to leave these soakers until later in the day, but in hot weather you'll face a long wait by early afternoon. 5. Ride the Jurassic Park River Adventure. 6. 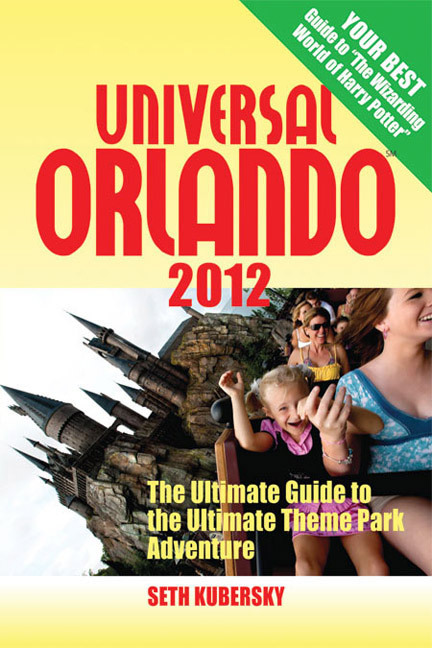 Consult the park map or ask an employee if timed entry tickets to the Wizarding World are being distributed. If so, retrieve one from the kiosks in Jurassic Park (near the Discovery Center) or Lost Continent (near Sindbad). 7. Check out the Discovery Center and Triceratops Discovery Trail (open seasonally). 8. At this point, it may be close to noon and time to take stock. Take the bridge near the Jurassic Park Discovery Center to the Lost Continent. Poseidon's Fury is a good choice for midday since the queue is indoors and mercifully air-conditioned. Also, check the schedule for the Sindbad show, and consider lunch at Mythos. 9. Afternoon is also a good time to explore Seuss Landing. Don't skip The Cat in the Hat, and enjoy any other rides if the wait is short. 10. About three hours before closing time (or anytime after your entry ticket becomes valid), walk through Lost Continent into The Wizarding World of Harry Potter. By now the early-morning Potter fans have pooped out, and crowds should be much more manageable. 11. Stroll through the village, and then ride Dragon Challenge. 12. Ride Flight of the Hippogriff if you have kids or the line is short. 13. Ride Forbidden Journey. If the posted wait is over 30 minutes, ask an attendant for the "castle tour," followed by the single rider line. Use the storage lockers near Dragon Challenge if the line extends outside the castle. 14. Visit Ollivander's if the line ahead of you is under 45 minutes. 15. Save your shopping for closing time, since the stores stay open later. Again, those who are temperamentally averse to the giant coasters and intense thrills like Doctor Doom will find it much easier to take in all of Islands of Adventure in a day. But as noted earlier, coaster lovers may be pleasantly surprised at how short the lines are, especially at slower times of the year, because these giants scare off a lot of people. The exception is the line for the first row, which is often lengthy.